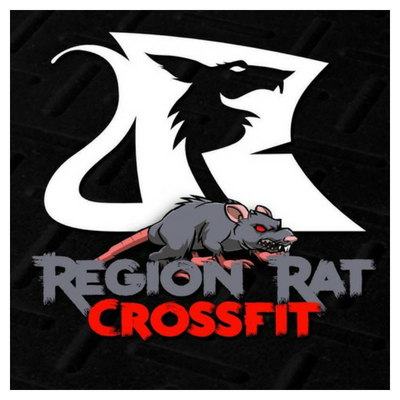 We’re pleased to announce our first “RhinoFit Featured Gym”, Region Rat CrossFit. Located in East Chicago, Indiana, it serves the local area to help its members improve strength, eating habits, and promotes weight loss. It’s owned by Juanita Segura, a lung cancer survivor who is also a Certified CrossFit Level 1 Coach. She’s assisted by coach Chad Gagan, a USAW Level 1 Certified Coach. He is also a former member of the U.S. Navy. Region Rat holds regularly scheduled classes and ongoing boot camps that change every 6 weeks. Members applaud Region Rat for having a friendly, welcoming environment thanks to the great coaching from Juanita. For people new to fitness and CrossFit, Region Rat CrossFit is a great choice for people in the local area. With ongoing classes and boot camps, owner Juanita Segura needed a useful CrossFit Management solution for her facility. After joining RhinoFit in August of 2016, Juanita identified several of the benefits of RhinoFit: “We at Region Rat CrossFit are happy we chose RhinoFit. RhinoFit is very easy to use, easy to understand, has great features and customer service is awesome. They reply to your emails fast and with great help and if you call them for help they’re right there to help and resolve your issue. You won’t be sorry if you chose RhinoFit”.